Got to agree. Expecting that kind of group play has already been seen to be unrealistic, IMHO. Most people wouldn't know what you mean by the phrase, fleet tactics. I played my Lex for awhile today because I am completing an old campaign and had to. OMG! I don't get why anybody plays them anymore. Even if you do get a successful attack in, your entire squadron is likely to be wiped out instantly. The AA is ridiculous. I had two whole squadrons just smooth deleted by a mere DD. From the surface side, I was caught alone a couple of times in a cruiser and suffered wave after wave of air assault that I couldn't do anything about. Man I just don't see them ever balancing this mess. At this point, all the enemy fleet needs to do is stay together and they are impervious to air attack, but their tactical options, meaning the fun, are quite limited. I lost five karma points today just because I needed to scout a bit with aircraft in order to meet a campaign task. I got called stupid twice because I couldn't figure out how to attack an enemy fleet composed mostly of ships one to two tiers above me, and that had coalesced into two clumps and had made themselves immune to air attack. You'll never catch me playing CV's anymore. Good luck with that "team play" stuff. the only place you are going to reliably see it is in clan battles. To play DD's more realistically as you suggest is to make the class useless. Don't forget. Achievement is all about the damage in this game. All classes of ships are supposed to be vulnerable to all the others. Anyway, I get it, you don't like DD's. That's fine, but you have to admit that they don't do nearly as much to cripple the game as the CV's do. The sad truth is that CV players were never an important part of the game in the first place. CV's have never been popular, rather they have been an annoyance. But since the update, they have become more than a mere annoyance. They are poisoning the game. Yes, I have tried playing DD's since the rework. It isn't something I am interested in doing any longer. It is simply an exercise in futility. However, there is one game I am going to carry in my pocket for a long time to come. It was an epicenter game on the Trident map. I took my Kagero and went all the way around the eastern edge of the map, taking the time to torpedo a wounded BB on the way, and evading the aircraft. The BB thought he had been sunk by aircraft. At length I found two CV's parked near the big island in the center-north. The very first inkling the enemy team got that I was even on the map at all was when the Lexington exploded. (I can imagine the CV driver's experience of this, sitting motionless in the rear and thinking he was safe, only to have a salvo of torpedoes suddenly appear off his port beam.) I chased down the other CV, revealing myself, which caused the four remaining ships on the enemy team to push north against me. By the time they did me in, the remaining enemy ships were so out of position that they could not fight effectively and we won when the clock ran out. That was great, but I won't have a game like that more than once in 200 or 300 games, mostly it is, start engines, get spotted, stay spotted, get killed. So I gave up on both classes. Yes, I did read that. Thank you. No need to get yourself banned. This whole thing is tense and being the passionate soul that I am, I have gotten warned myself once so far. I deserved it too, because I can be a bit of a hothead. The thing is that all of this has been in the works for a long time, and WG has spent a boatload of money on it. They are not going to walk away from it and they are not interested in hearing us scream about it, however cathartic that may be for us. (Although, the screaming is a sort of data as well.) I can about guarantee that many studios would already have shut this thread down. What they want, is real time commentary on the game mechanics themselves, because WG is probably determined to try and make them work. Honestly, I would have loved to have seen the cost/benefit analyses that WG must have run on all of this. Now, there are only two long term possibilities to be had here. Either WoW is going to remain a game that people like us want to play, or it isn't. It is really that binary. And as I said, WG is likely not going to just walk away from this. So at this point, and after quite a bit of reflection, I would counsel a wait and see approach. There are people out there giving WG the sort of info they want, none of them are me because I don't like this direction, but there is nothing for players like you and me to do except wait and see where all of this goes. Of course for the time being I will have to keep my expenditures on the game to a minimum, but I suspect that WG was ready for that eventuality all along. Well, Zim and Warhawk, this is a problem that is affecting the video gaming industry altogether. Many studios such as EA and Bethesda are taking popular franchises, and not satisfied with success, are attempting to "make the games approachable to a larger audience". The result is often a franchise regarded as being no longer worth playing, by the standards of the people who made it a success in the first place. Now, granted, none of these current changes to WoW are finished, so we will just have to see. My position is that CV's are out of the meta and cannot be balanced, especially in this new form, but I have been wrong once in a while before. But that is an issue for the long term. The real short term issue is that WG chose to release these changes in an unfinished state, expecting us to beta test them; and the question is whether WG can survive the disruption and ill will all of this is causing. WG has obviously bet the whole farm that they can survive it, and in the long run it is probably a good bet. However, they could easily end up with a game that doesn't so much appeal to a larger audience as it does to a different one, especially if and when they add submarines. All I will say as to that is that I wish the company well and hope that it all works out in the end. Whether WoW will remain a game that we like to play or whether it will end up becoming someone else's game remains to be seen. Thanks very much. I was looking for it in my in game profile. silly me. Sorry, there was no bad intent there. wont do it again. You are correct. the answer is to actively hunt the DD's. I do get it that for some teams that concept is almost rocket science. Question, you seem to be indicating that my stats are set on private. If that is the case, it is not intentional. Do you know where the controls are to change that? Agreed. I will refrain from taking any more of this bait. And thanks Warhawk. Only for the purpose of knowing which ships you prefer. I don't stat shame. In the long run, I am in no position to do so. The ships one prefers to sail often has a bearing on the subject. No, sorry, but that is not how DD's are operated. If a DD driver just hangs out at his concealment range and lobs torps long range, he really is unlikely to do much damage. Your stats are private, so it is hard for me to judge how you came to these conclusions. 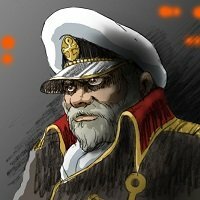 (I only wanted to know which ships you prefer) DD's rely on their ability to get closer to an enemy ship than that and to ambush it. That doesn't make them OP, it just makes them a hazard around islands, and occasionally at a distance and that mostly because one ziggs when he should have zagged.. As I said, I am a cruiser main, and anti-DD operations are some of the most rewarding aspects of my play. I agree completely. BTW, I really never truly hated CV's (apart from occasional inconveniences) until the rework. The rework made me realize that WG wants to take CV play in a direction that will make it impossible to balance. 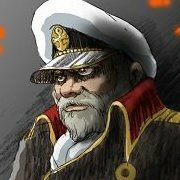 I just think that as things are going, the CV is inherently destabilizing to the game as a whole. I didn't pick this fight and neither did you. I doubt that WG is going to give up that easily. Too much money is at stake. But IMHO the game would be far better balanced without them.